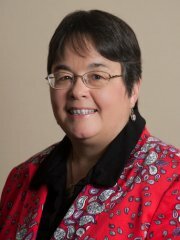 Jayne Fleener, Ph.D., has over 30 years of professional education experience in K-12 and higher education. She has a Bachelor’s degree in philosophy from Indiana University and three graduate degrees from the University of North Carolina at Chapel Hill, including her Ph.D. in mathematics education and Masters’ degree in philosophy. Before going to North Carolina State University as Dean of the College of Education, she was Dean of the College of Education at Louisiana State University where she also held an endowed chair. She also served as Associate Dean at the University of Oklahoma. She is currently a research professor for the Friday Institute for Educational Innovation at North Carolina State University. Dr. Fleener utilizes philosophical inquiry and chaos and complexity theory dynamics to explore complex problems in education. She has published over 100 articles, including two books, and has extensive international experience.